Now available in a copper plated finish that is intended to patina naturally with handling and age for a unique look. 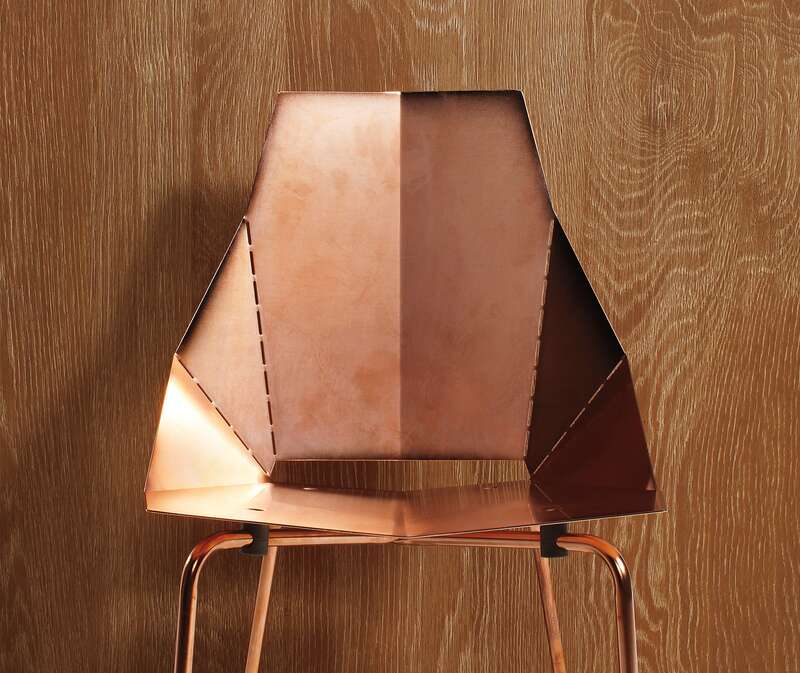 The Copper Real Good Barstool ships flat and folds along laser-cut lines to create a dynamic and comfortable chair. 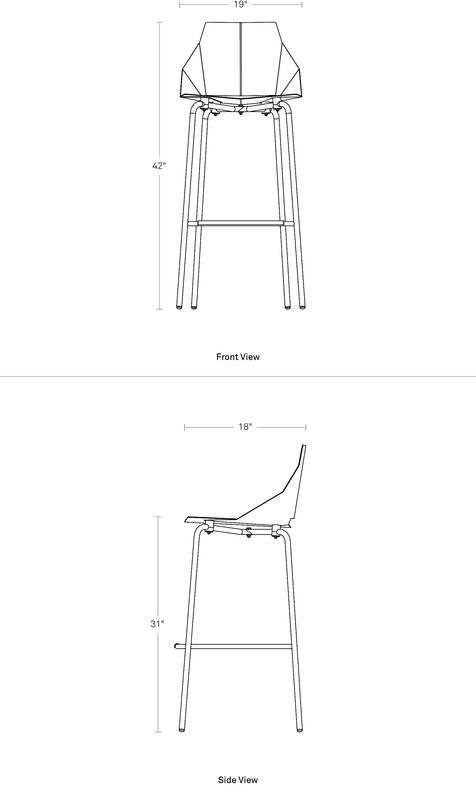 As skinny as a supermodel yet far more sturdy. Click here for other color options. Please note that the copper finish will tarnish more rapidly when in contact with the non-slip latex backing of the Real Good Stool Pad.